One way to actively work toward environmental positivity is to cut back on individual waste, but nothing compares to the effect that the human population has on the environment. The single-most impactful way to save the environment and reduce global warming is to put fewer people on the planet. 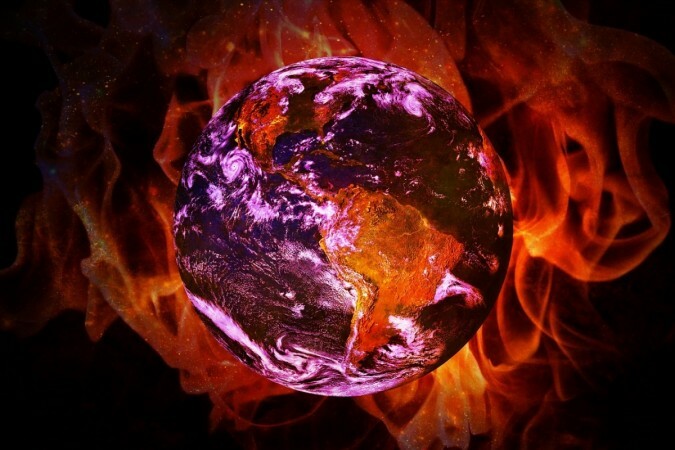 The planet has reached and crossed several points of no return with climate change and general environmental damage. Carbon dioxide levels are at a record high, the summers are progressively getting hotter, and polar ice caps are melting fast. Sea level rise is pretty much a guarantee at this point. The Paris climate Agreement to keep climate change in check and arrest global warming to no more than 2 degrees till 2100 is often quoted as being an important step in the right direction, but estimates have shown that even that might actually be insufficient. One way to actively work toward environmental positivity is to cut back on individual waste. To lower people's "Carbon Footprint" -- the amount of carbon dioxide released as a direct result of activities of an individual, organization, or community -- is a serious step, but scientists and researchers believe that the most effective way to cut back on carbon is often ignored. Researchers from Lund University in Sweden and the University of British Columbia in Canada have put together "a comprehensive suite of lifestyle choices to identify those with the greatest potential to reduce individual greenhouse gas emissions," according to their paper. For the study, the researchers studied 39 peer-reviewed papers, reports and online tools to choose the lifestyle choices that promoted a reduction in carbon footprints. Using this data researchers then ran estimates on how much of an impact these actions bring about in the setting of a developed country. The results of their analysis were shocking in some ways, not so much in others. 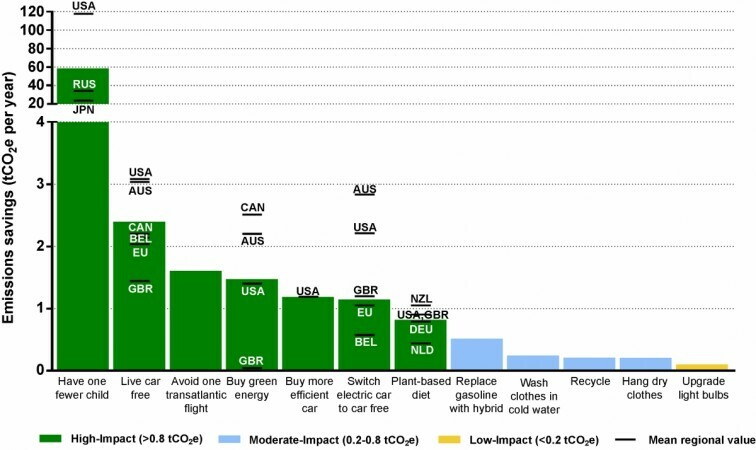 The top four things that put the biggest dent on a person's carbon footprint are; not owning a car, avoiding air travel as much as possible, switching to a mostly plant-based diet, and the biggest contribution that one could make to save the planet— do not have children, or have as few as possible. Just these four pointers and lifestyle changes will have a lot more cut back on a person's carbon footprint than the more actively advertised practices like recycling or even shifting to LED lighting. While asking people to have fewer children for the sake of the environment might seem like a bit too harsh, the research points out that ditching straws and plastic bags are simply not going to be enough. 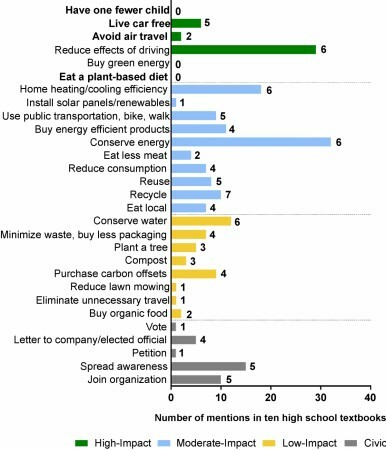 "Serious behavioural change is possible; there is evidence that younger generations are willing to depart from current lifestyles in environmentally relevant ways," notes the study. Helping the environment in every person's "own small way" is still relevant, and they most certainly do add up, notes the scientists. Having said that, these actions do not always lead to what they call a positive spillover in the bigger picture.